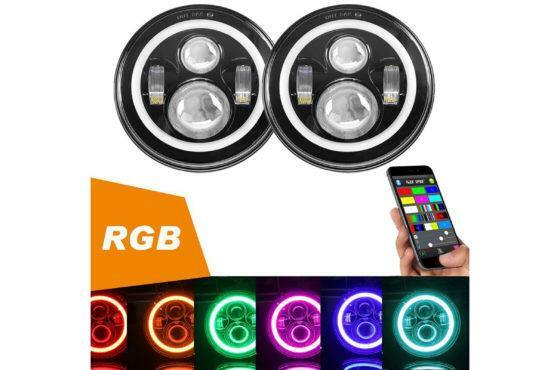 Just when you think: You’ve done your research and come across every last option in the 7″ round LED market, these should catch your attention. 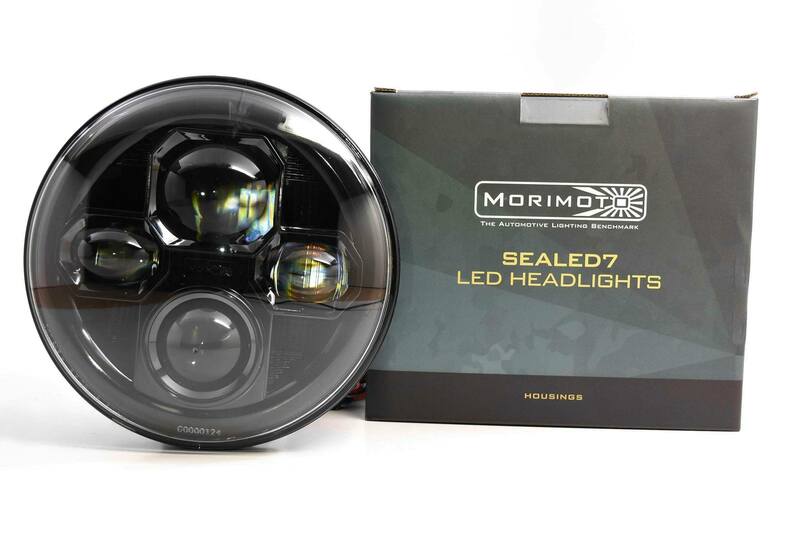 While it’s true there’s only so many ways you can package a set of low and high beam LED-based optics into a 7″ round platform; Morimoto’s Sealed7 2.0 pulls it off in the most functional and attractive setup we’ve seen to date. Honestly: Here at TRS, we’ve seen em all and believe that the Sealed7 2.0 is the best new entry in the 7″ round market for a variety of reasons, which we’ll outline below. Proprietary: The Morimoto Sealed7 2.0 is all-new, all-original from the ground up. 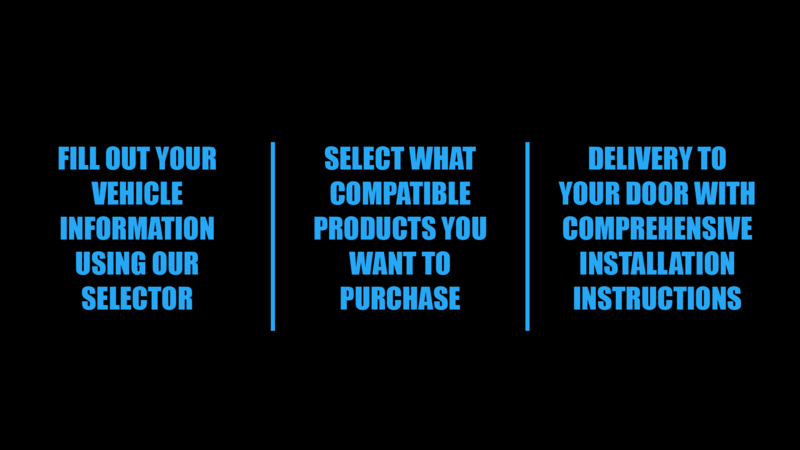 Until now, there were basically three distinct products on the market. You have the real-deal J.W. Speaker, at the top of the totem poll. Then you have the cheap J.W. Speaker knock-offs, re-branded by companies A,B, and C, and then you have the Truck-Lite reflector-based 7″ lights…again, re-branded by company X,Y, and Z. These are unlike anything else on the market. Output: In low beam mode, Nichia NCSW170C Series LED’s paired with Morimoto’s advanced Kuria Optic projector lens array efficiently distributes roughly 3000 lumens on the road in a properly LHD-stepped beam pattern. Because the Sealed7 runs a “dual-burn” setup on high beam mode, the output is intensified to nearly 4000 mosquito-melting lumens there. Quality: No expense was spared when designing the Sealed7. 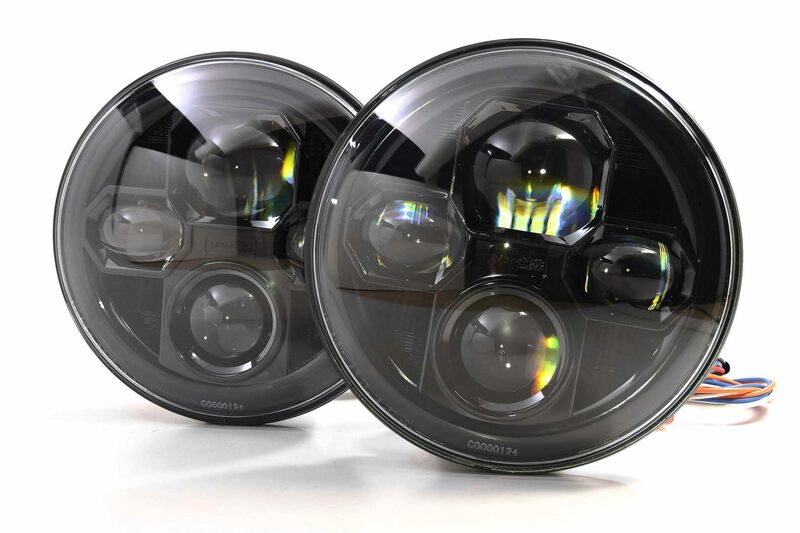 Start with the ingredients at the heart of the headlight from Nichia-Japan and Philips-Lumileds. These aren’t cheap emitters to begin with. The UV coated Polycarbonate lens is shatter proof and will take years of abuse without fading. 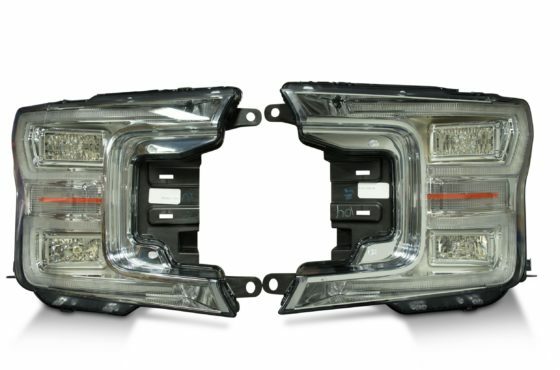 You can feel the precision in the heavy-duty die-cast housings that double as a heat-sink are no deeper than most traditional 7″ PAR56 headlights. 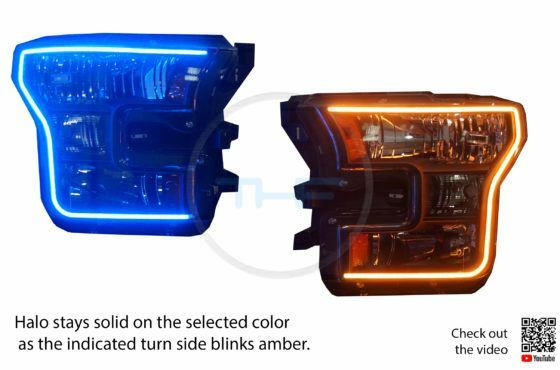 A special PWM LED driver resides inside of the headlight to keep the LED’s running at their peak intensity, even during prolonged periods of use. 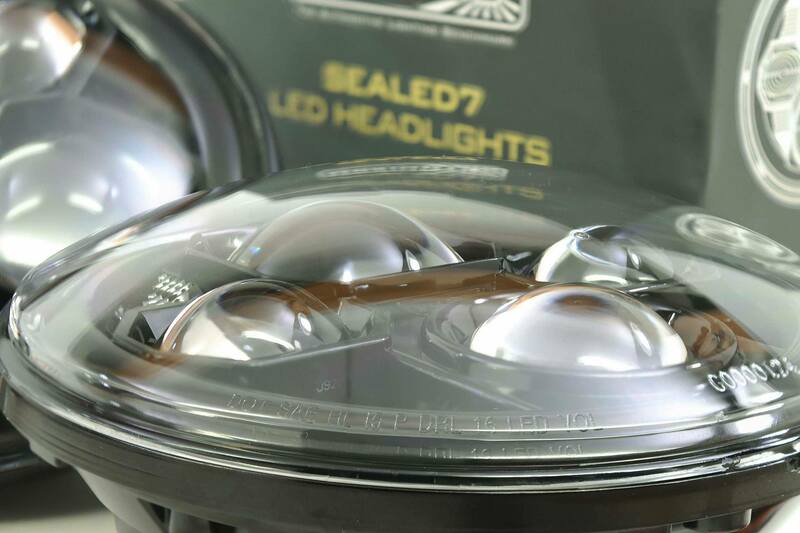 7″ Standard: Designed to replace all 7″ round / PAR56 headlights, the Sealed7 offers full low and high beam functionality. They come standard with H13/9008 male inputs, tailored for use on a newer Jeep Wrangler – but can easily use an H4 adapter to go old school.